The Manila houseboat experience brings you the best of both worlds. Old world charm meets modern-day convenience. 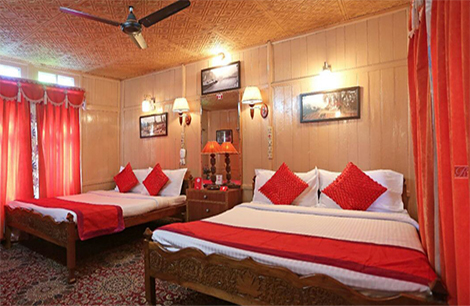 All rooms are well equipped with 24 hrs room service, in room LCD TVs in all rooms, electronic safe, hair dryer, iron and ironing board on request, doctor on call, car rental, direct STD/ ISD, Wi-Fi connectivity in rooms, public areas and great dining & relaxation. All bathrooms are equipped with bathroom amenities. Manila Houseboat offers you a variety of experiences. enable you to live life king size with the most conceivable luxurious services making your stay a comfortable one.